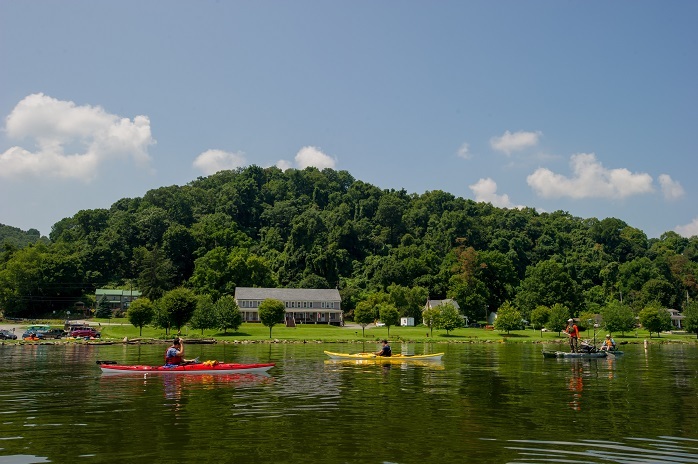 After exploring the wild side of York County on land with our list of awesome hikes around the area, grab a paddle and cool off with outdoor adventures on the water. Here are just a few places where you can float the day away. The Susquehanna River cuts a winding path along York County&apos;s eastern border and offers a slew of recreation opportunities. There&apos;s no better way to experience this majestic waterway than to actually get on it, and Shank&apos;s Mare Outfitters can set you up with a kayak or stand-up paddleboard rental for the day if you don&apos;t have your own river transportation. Make sure to leave enough time to explore all the creeks that feed the river. With miles of water to play with, you can spend an entire weekend traversing this scenic area. Families might want to consider renting a pontoon and setting out for a lazy day on Lake Clarke. Long Level Marina offers pontoon rentals, and the 23-foot-long boats can accommodate up to 10 people. Safety equipment is provided, and fishing equipment is even available to rent, too. Whether it&apos;s by kayak or pontoon, you&apos;ll discover the Susquehanna Riverlands is a relaxing place to spend a summer day. To make the most of your visit, plan a visit during Shank&apos;s Mare&apos;s annual Art & Outdoor Fest on August 5. Local artists will display their work, and live music, ice cream and food round out a day of family fun by the river. 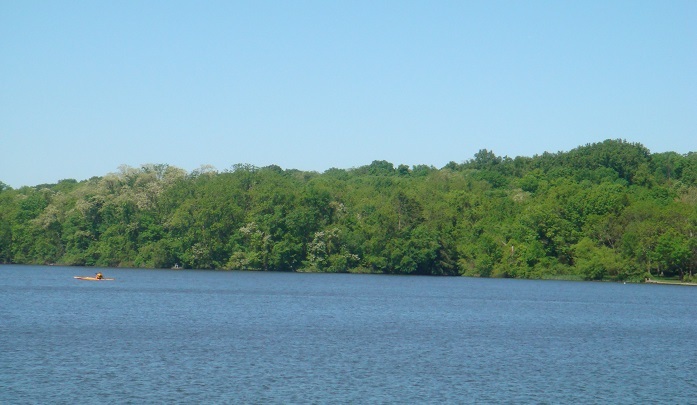 Named for the small town that was flooded when the body of water was created in 1966, Lake Marburg is the main attraction of Codorus State Park. AOS Marina offers a fleet of pontoons, fishing boats, motorboats and kayaks and more for rent. Pontoons are an excellent choice for larger groups and are a great way to get a scenic view of the lake, home to waterfowl, nesting ospreys and even a pair of bald eagles! Sneak into a cove, lower the anchor and enjoy a peaceful picnic on the water, or cast a line and land a lunker bass, yellow perch or even a musky. If you already have a boat, bring it along. Transient boat slips are available to rent at the marina, and there are several docks that provide access points. An on-site campground offers tent spaces, cabins and even yurts for overnight visitors. A swimming pool offers another option to cool off, and you can even scuba dive in a designated areas. Divers might even get a glimpse of the old community of Marburg, which still lies beneath the lake. From the water&apos;s surface, you can even see where old roads trail off into the water. 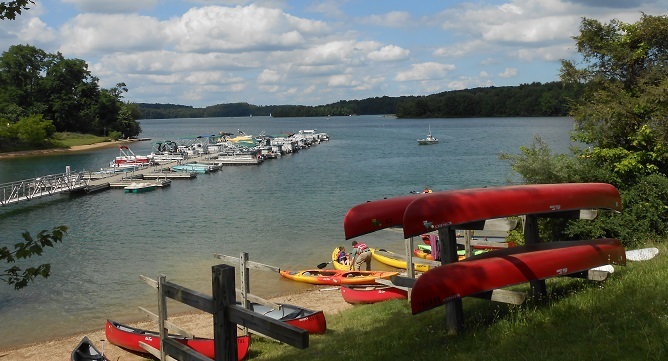 The 350-ace Pinchot Lake is the centerpiece of this state park, and the large beach in Quaker Race Day Use Area is the place to be after a hike on a hot summer day. Picnic facilities, a snack bar and a play area are nearby, giving you plenty of ways to fill an entire day. With almost 340 campsites, the park has one of Pennsylvania&apos;s largest campgrounds and welcomes everything from RVs to tents. If you don&apos;t have a boat, you can rent canoes, kayaks, paddleboats and row boats at the boating concession in the Quaker Race Day Use Area. 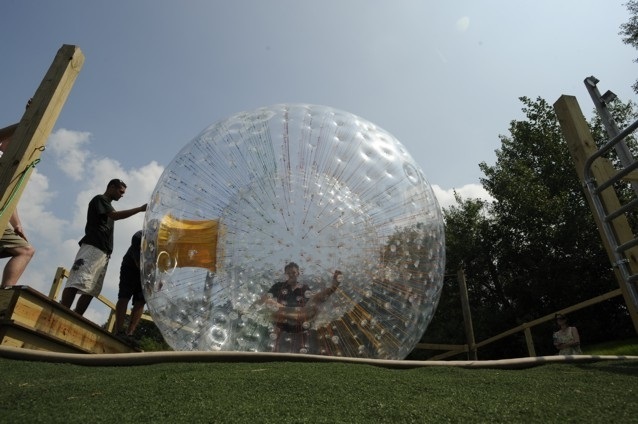 It&apos;s not a river or lake, but Roundtop Mountain Resort offers a way to cool off that&apos;s found in only a few places around the United States: OGO balls. These inflatable balls are 11-feet in diameter. Riders can climb into an inner compartment and take a wild ride down the resort&apos;s tubing lanes. Five gallons of fresh water sloshes around while you&apos;re rolling, but you&apos;ll never go upside down. Speed seekers will also want to experience the Super Slide. Grab a tube and hurtle down a 600-foot lane for a wet and wild adventure.